Muslims always ask where in the Bible does Jesus claim to be God. If you actually read the Bible, you will see plenty of evidence of who Jesus really is. For example, do you know who sends prophets? Jesus has the divine power and authority to send prophets. How can Jesus be everywhere that his followers, throughout the ages, are gathered, all over the world, unless he is omnipresent? Sure, because only God is omnipresent. What will happen at the second coming of Jesus? Christ will return as the eternal ruler of God’s kingdom. Did you notice who will send the angels? And who the angels belong to? And what will the angels do? 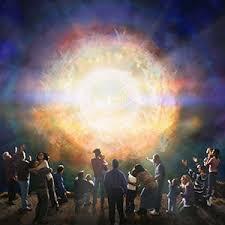 HE, The Son of Man, will send HIS angels and they will gather HIS elect (chosen ones). Do you ask yourself why people will mourn when they see Him? Could it be because of the coming judgement and in regret because they never knew who Jesus really was? Who will be the Ultimate Judge on Judgement day? Who sits on the glorious throne? Jesus. ALL THE NATIONS will be gathered before HIM. And who will give out the rewards on Judgement day and allow entry into heaven? Who has the power to send people to hell?